The Definition of Elysium is a place or condition of ideal happiness. The sci-fi film takes place in the year 2154. The earth is way overpopulated and very rundown. The poor people live on earth while the rich live on an enormous space station. 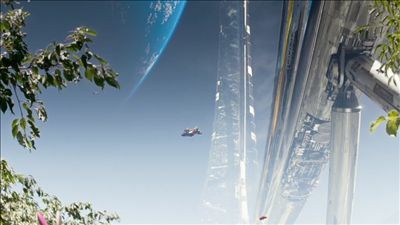 The space station is a world in itself and it is rightfully named Elysium. Elysium is a man-made utopia. Life on Elysium is basically perfect. The air is better quality, and they have machines that cure most diseases and injuries. The poor people on earth desperately want to live on Elysium and the rich want to keep everyone else out. The Elysium government kills or captures intruders on site. 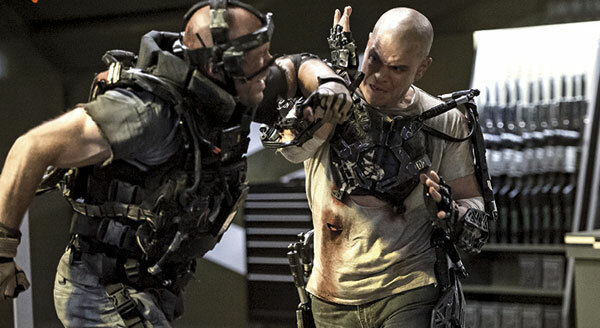 Max (Matt Damon) has wanted to go to Elysium his whole life. After a tragic turn of events, Max gets sick and has only a short amount of time left to live. 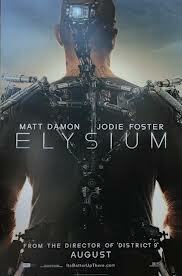 With nothing left to lose, he decides to do everything in his power to get to Elysium and get healed or die trying. 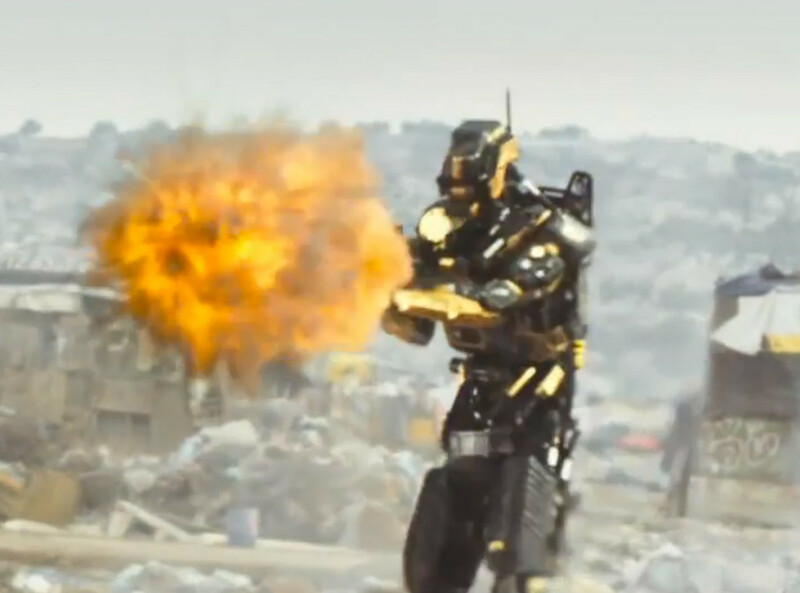 The movie is written and directed by Neill Blomkamp and the rest of the noteworthy cast includes Jodie Foster, Sharlto Copley, Alice Braga, Diego Luna, William Fichtner, Wagner Moura, Josh Blacker, Jose Pablo Cantillo, and Faran Tahir. I hoped for more from this film. The special effects and futuristic technology in the film were outstanding, but the movie’s premise was a little shaky. 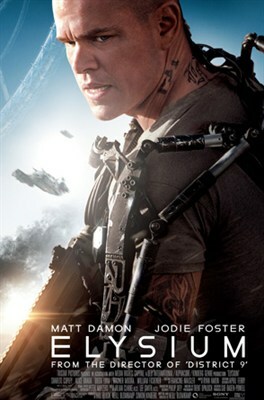 The story was very predictable and I felt that not enough of it was spent on Elysium. The film was more about trying to get to Elysium than actually taking place on Elysium and that was a little disappointing. Foster was probably as chilling as she has ever been. She played her part almost too well. Damon was as good as he usually is. Copley was a fun weirdo. Movies that are set way in the future normally show either amazing advancement in technology or the earth on the verge of destruction. This film showed both. Overall, Elysium is an exciting, action thrill-ride complete with cool ideas and some quality acting, but a flawed story riddled with predictability. It’s a popcorn film. Sit back, relax, and you’ll probably still have a good time. I rate this movie a 7.5 on a scale of 1-10. This preview is approved for appropriate audiences. 10 years after the Korean film Oldboy (2003), Spike Lee decided to direct an American version. The original film was quite twisted and the remake appears like it will follow suit. Oldboy (2013) is about a man (Josh Brolin) who is kidnapped and imprisoned for 20 years. When he is finally released, he sets out for revenge on his unknown captor. Why was he kidnapped and held for so long? Who did it and why did they let him go? The rest of the notable cast includes Samuel L. Jackson, Elizabeth Olsen, Michael Imperioli, Lance Reddick, Sharlto Copley, Max Casella, Rami Malek, James Ransone, and Grey Damon. Brolin continues to choose his roles carefully. If he pulls off his part, as it appears like he definitely will, this remake should be intensely awesome. I am totally looking forward to this one! The film is set to release on 11/29/13. Sci-Fi lovers rejoice. Elysium is coming. Elysium takes place in the year 2154. The rich live on a space station and the poor live on Earth, but the Earth is in shambles. The rich are trying to protect their way of life, but the poor want in. 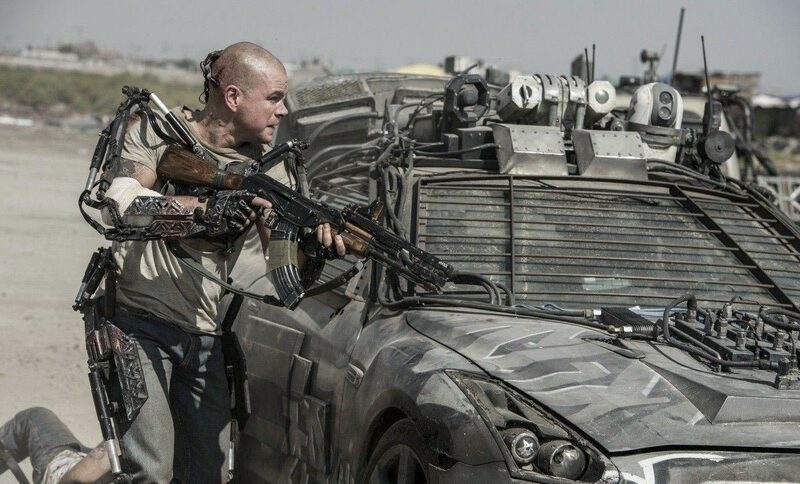 With an estimated $100,000,000 budget, the filmmakers are banking on Matt Damon and Jodie Foster to make Elysium a monster summer blockbuster. It is written and directed by Neill Blomkamp who is most known for directing District 9 (2009). The movie also stars William Fichtner, Jose Pablo Cantillo, Alice Braga, Diego Luna, Michael Shanks, Sharlto Copley, Talisa Soto, Ona Grauer, Terry Chen, Wagner Moura, Johnny Cicco, and Faran Tahir. The film looks like it will be rich with special effects and action. This one looks like a must-see. The movie is set to release on 8/9/13.